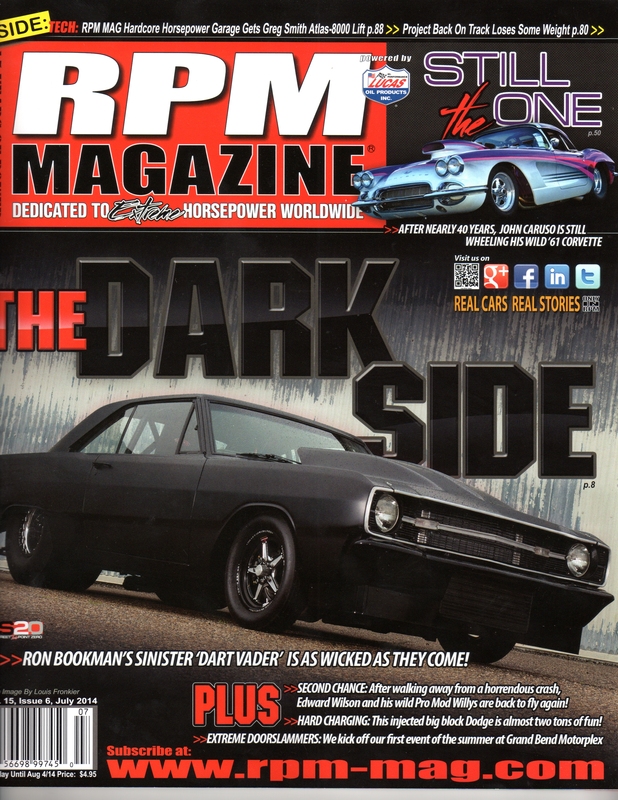 I am so excited to have a car we recently photographed featured on the cover of the July issue of RPM Magazine. Several month’s ago I had the pleasure of meeting Ron Bookman at a local cruise night at Hardees in Newport News. 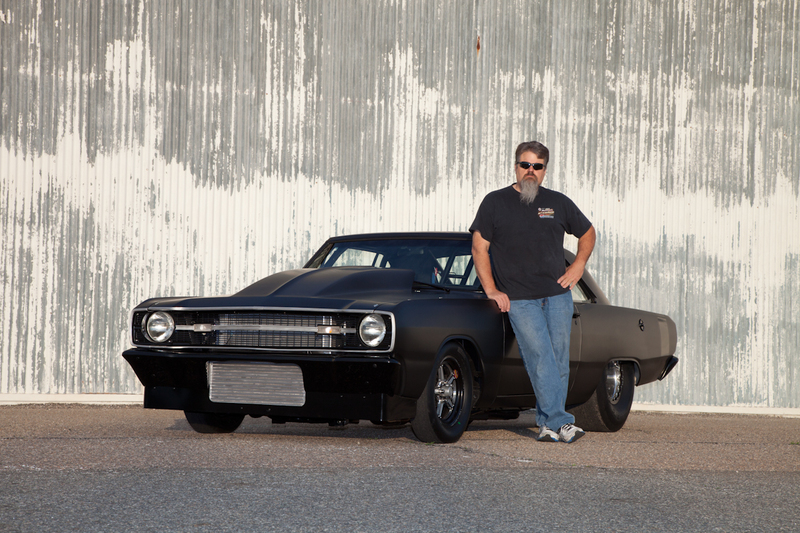 I was pulling into the parking lot behind a wicked looking black 69 Dodge Dart with a big block that sounded “Nasty”. Everyone drew close like moths to a flame to this car that looked more like a Pro Stock. A fellow Mopar friend “Bubba” who also has a very clean and fast 69 Dart introduced me to Ron. We didn’t talk much that night since he was being questioned by so many people. But I did asked Ron if he was interested in having some images taken of his car. He told me he had been talking with someone about possibly having it featured in a magazine. Wouldn’t you know that the only card I had was a maternity & baby business card! I wonder what he was thinking when I handed him that! I had made a connection and a friend. I selected a location and we scheduled the shoot for the following weekend. The place was this old metal warehouse with peeling paint and great texture. I thought it would offer good contrast and really add to the tough look of the car. We had to dodge some rain clouds (no pun intended!) in between loading up the car and getting to the location. But when the rain stopped and the clouds parted we could not have asked for better light. Needless to say we had a blast! I showed a quick preview on the camera to Ron and he was stoked! We both knew we had a good chance of getting his car into the magazine. We worked until sundown doing all kinds of angles and perspectives and just flat out having fun! The following week we met to select the best images and send them off to the magazine. And then we waited…. After a few e-mails back and forth we were not sure if we were going to get the cover but we knew we were in. But alas! Not only did we make the cover but Ron’s Dart was the feature car with a full two page spread of his Dart and 11 pages of text and 12 more photographs! Congratulations to Ron for being a good sport and to Toby at Rpm Magazine for patience with all of the text and e-mails back and forth to get it right. I am looking forward to the next project and where this car photography takes us! Man I wish you could hear that thing when Ron fires it up!